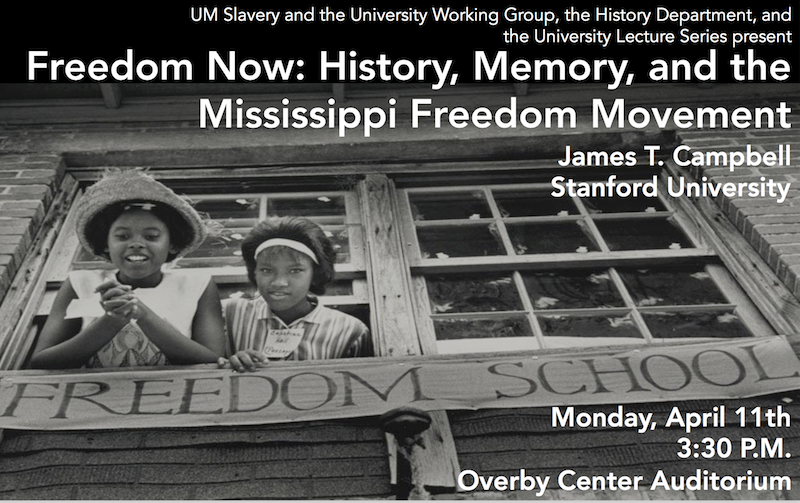 “Freedom Now: History, Memory, and the Mississippi Freedom Movement,” a free, public presentation by James T. Campbell on Monday, April 11, 2016 at 3:30PM in the Overby Center Auditorium, should be of interest to anyone who wants to learn more about the African American freedom struggle, the civil rights movement, public history, and how history is remembered and commemorated. James T. Campbell is the Edgar E. Robinson Professor in United States History at Stanford University, where he specializes in African American history and the history of the black Atlantic. His research spans the history of the American slave trade with Africa, the Harlem Renaissance, and the civil rights movement. In his current research, Campbell focuses on historical narratives and storytelling, examining the ways in which societies document and explain their pasts, not only in textbooks and academic monographs but also in historic sites, museums, memorials, movies, and political movements. Campbell earned his B.A. at Yale University and his M.A. and Ph.D. from Stanford University. Before joining the faculty at Stanford in 2008, Campbell worked at Brown University, where he served as the chair for the Brown University Steering Committee on Slavery and Justice, an organization created by Brown President Ruth Simmons to explore the University’s historical relationship to slavery and the transatlantic slave trade. The Brown University Steering Committee on Slavery and Justice has subsequently become a model for similar investigations on campuses throughout the United States. Campbell’s first book, Songs of Zion: The African Methodist Episcopal Church in the United States and South Africa (New York: Oxford University Press, 1995), received the Carl Sandburg Literary Award for Non-Fiction and the Organization of American Historians’ Frederick Jackson Turner prize. His second book, Middle Passages: African American Journeys to Africa, 1787-2005 (New York: Penguin Press, 2006), received the Mark Lyton History Prize from the Columbia School of Journalism and Nieman Foundation at Harvard University and the Lois P. Rudnik Prize from the New England American Studies Association. Middle Passages was a finalist for the Pulitzer Prize in history. 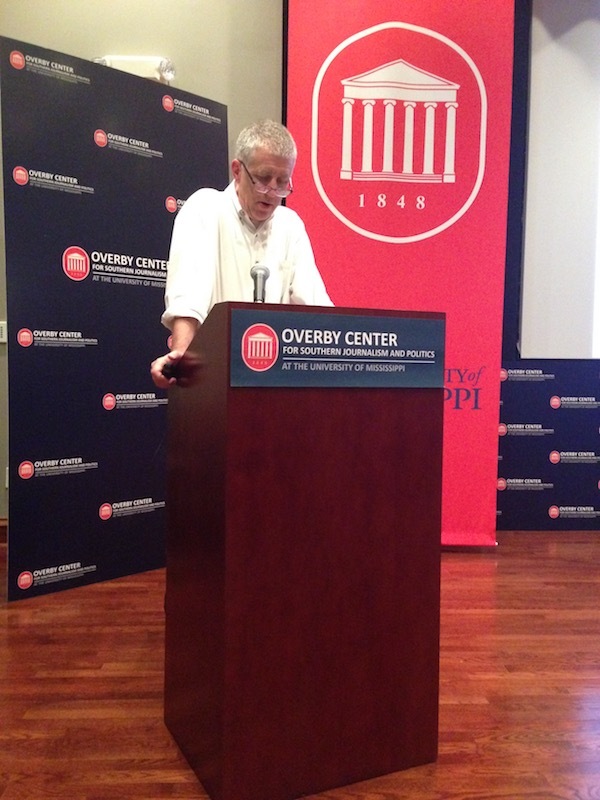 Events accompanying the lecture, include a “Slavery’s Legacy” campus tour led by Jeff Jackson, associate professor of sociology and co-chair of the University of Mississippi Slavery Research Group, joined by members of the student chapter of the NAACP and a presentation by Dr. Campbell, “Lessons from Brown University’s Slavery and Justice Committee” to the Group.